Yang Chao, CFO of Dynamic Signal, has established a track record of building and leading high performance finance organization for startup and mature businesses. She has extensive experience managing financial strategy and operations, planning & analysis, equity/debt financing, and scaling high growth businesses. Ms. Chao has 20 years of experience in the Hi-Tech industry. 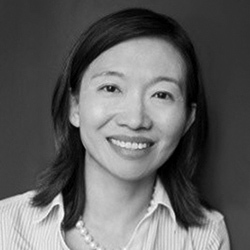 Before joining Dynamic Signal, Ms. Chao was the CFO of FourKites, a SaaS business in Supply Chain and Logistics industry, where she established the financial infrastructure and a metrics-driven organization. Before FourKites, Ms. Chao was VP of Finance at Gogo, where she made significant contributions to the hyper growth stage of the business. During her eight years at Gogo, the company grew from $20M revenue to $600M+ revenue and went IPO in June 2013. Before Gogo, Ms. Chao rotated at multiple management positions in Motorola. Ms. Chao received her MBA from University of Chicago Booth School of Business, Master of Science from Northwestern University and Bachelor of Science from Beijing University of Aeronautics and Astronautics in Beijing, China. She is passionate about entrepreneurship and is an active leader in the Asian American community.